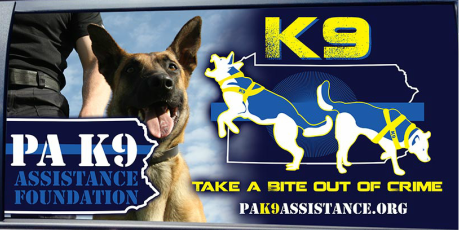 On May 27, 2015, PA K9 Assistance Foundation was able to host the location for the PENN VET WORKING DOG CENTER I.E.D. Tracking Seminar. The seminar was held at Autumn Breeze Acres which is a horse and sheep farm in Doylestown PA. The seminar was well attended by teams from both PA and NJ and was extremely successful. The premise of the seminar was specifically aimed towards explosive K9 teams and based on tactics and deployments in the search for "cop killer Eric Frein" in Pike, Monroe, and Wayne Counties in Pennsylvania. Several Handlers commented that they were appreciative that this training was different and not like their usual in-services. There was several new and different techniques and approaches that was learned by all. In October 2013, PA K9 Assistance Foundation participated in a fundraising campaign/contest through Toyota's 100 Cars for Good and was one of 100 non-profit 501c3 organizatons that won a new Toyota vehicle by popular vote. In February 2014, PA K9 took delivery of a 2014 Toyota Sienna van through Thompson Toyota in Doylestown PA. The vehicle graphics were designed and applied by Nathan Granoff and Brian Stasick of Design Star 3- Targeted Marketing in Pipersville PA. The van will be use to help promote the needs of Police K9 teams and to help us transport and deliver equipment to K9 teams. 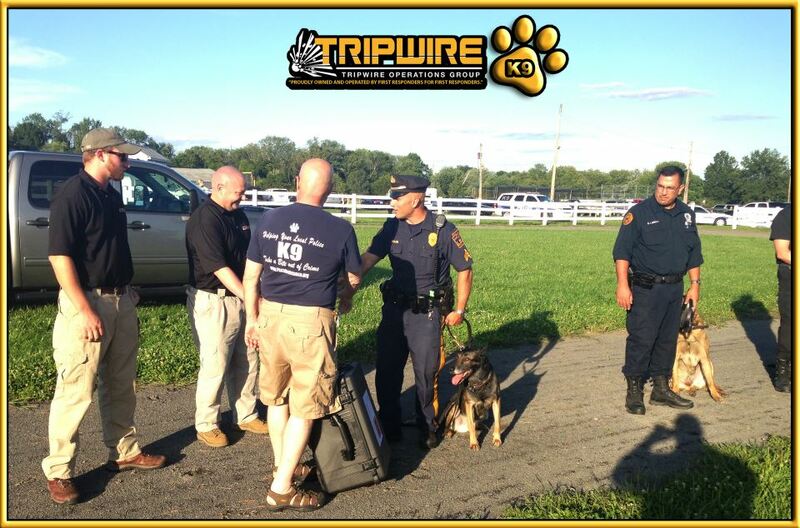 the Bucks County Explosive K9 Team Task Force of training aids with the help of Tripwire Operations Group,LLC that will help them protect the community and hopefully prevent any future tragedies such as the Boston Marathon Bombing. The donation was requested by the task force leader, Sgt Jason Braim of the Lower Makefield Township Police Department, in 2010. The expense of these kits had prevented our ability to honor this request until now. 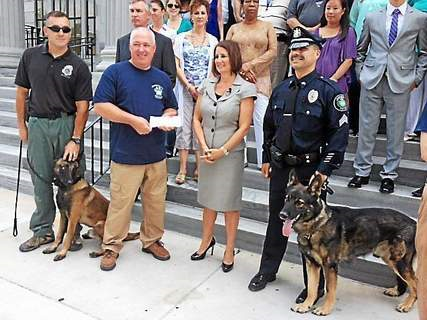 PA K9 Assistance Foundation President Mike Decher accepting a donation from Montgomery County PA District Attorney Risi Ferman and her staff. Cheltenham Twp PD K9 Handler Mike Moore and K9 Odie, Jenkintown Borough PD K9 Handler Rick Tucker and K9 Rocky, and Whitemarsh Twp PD K9 Handler Matt Stadulis and K9 Brock also attending the very generous and special event. 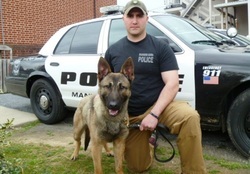 support for taking a bite out of crime with police K-9 units. protect them while they carry out their duties. Decher, president of the PA K-9 Assistance Foundation. district attorney’s office petted them and showed them a lot of love. police vehicles on extreme hot or cold days. relies on donations from the public to support its activities. Penn, Indian Valley and neighboring communities, PA.
Szulborski, were officially placed in service on May 28,2013. K9 Bayne is trained in patrol and narcotics detection. As of May 2, 2013 there have been 779 Police Officers in the Commonwealth of Pennsylvania killed in the line of duty since 1791. 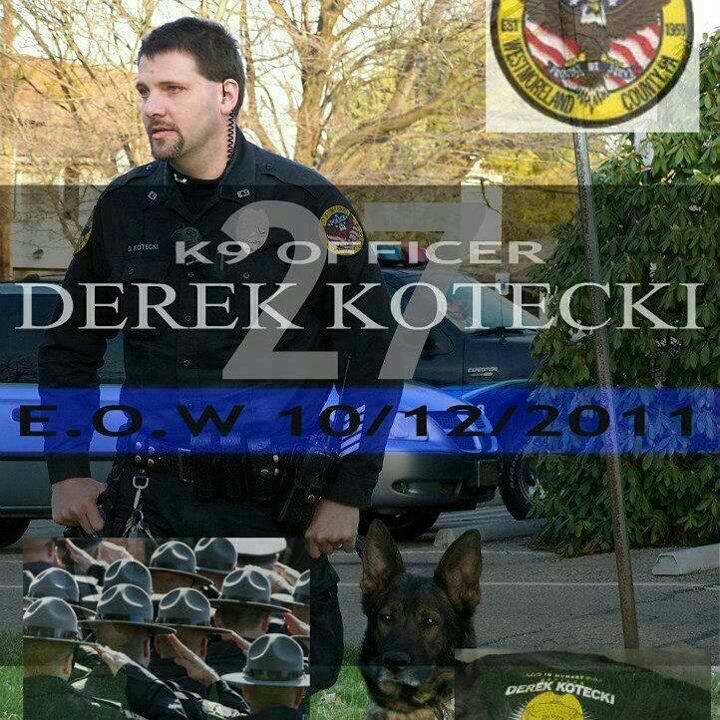 The "Officer Down Memorial Page" link below details each Officer killed by department. Remember those who sacrificed EVERYTHING for you!! 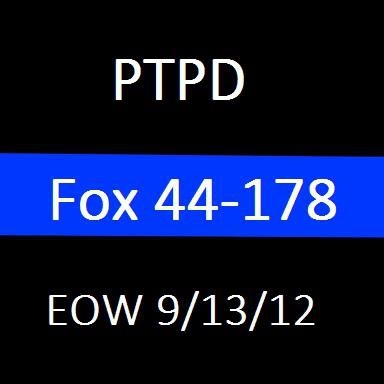 To all our Brothers and Sisters in Blue......STAY SAFE! !